The last few days of summer are holding on, but even with warm days, the nights are cool. 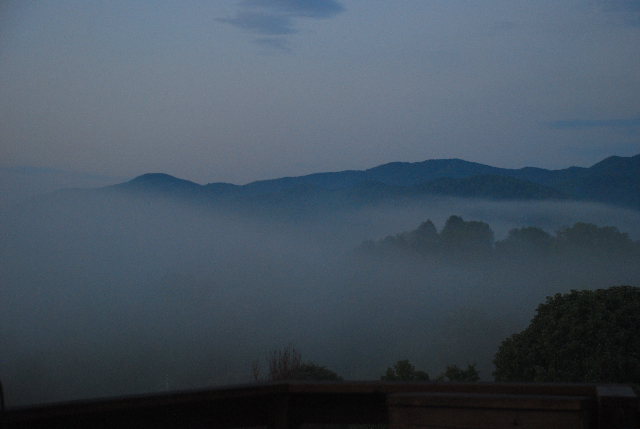 A sure sign that fall is on the way, those foggy mornings here in the Rockfish Valley near the Blue Ridge Mountains. 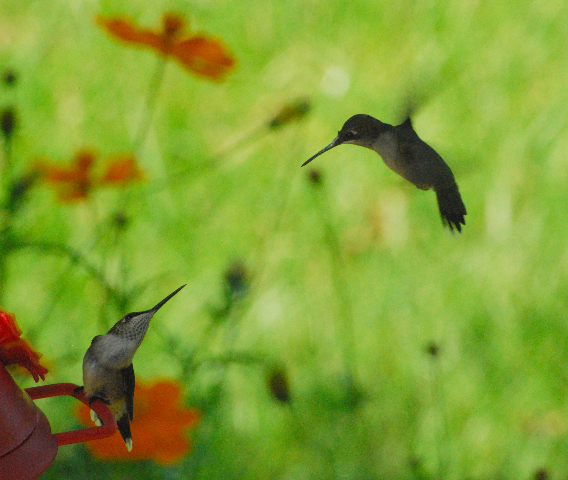 Ann captured this shot of two hummingbirds enjoying the final days of summer. In a few more weeks they will be headed away for the winter!